Specializing in manufacturing high-quality custom plastic injection moulds and injection molded products for the international market. With the complete whole-chain service in-house from Mold Design, Mold Making, Plastic Injection Molding machines. 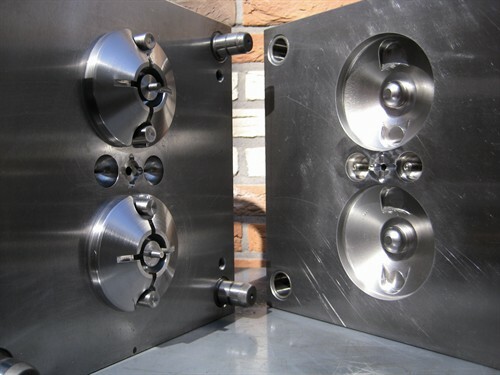 Our experienced production staff, machine adjusters, mould makers and engineers work together closely and challenge each other in areas such as process optimization and improvements. This leads to an effective injection moulding process for your products. Our approach is very effective, especially for small and medium-sized series (2.000 to 100.000 pieces). But the efficiency of our organization and the fact that our injection moulding machines can run unmanned through the night mean we can offer competitive prices for large series too. Industries which FKD supplied are: Transportation, Consumer products, Industrial products, Machinery, Furniture, Solutions for the hatchery industry. or phoning us on +31 (0)299 476202. Let us surprise you! FKD International produces over more than 30 years of innovative high quality products in small and large series. Click below on one of our own product range.